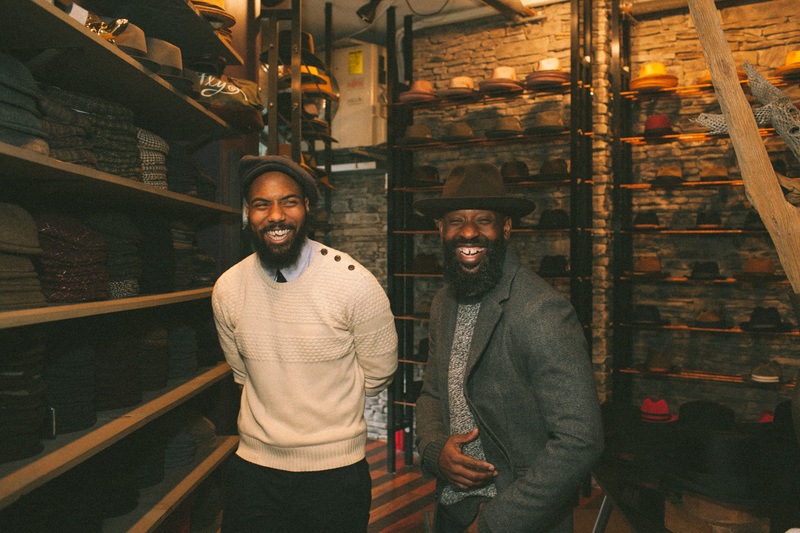 Marc’s Harlem uptown shop, Flamekeeper’s Hat Club, is more than just a hat shop it’s a space that cultivates good energy and knowledge. Born and raised in New York City, Marc is a self-proclaimed visual guy who’s always had a penchant for great taste. “For me it’s about taste and not style. There are so many styles out there, there’s no definitive style, but your taste is what makes you different,” he says. 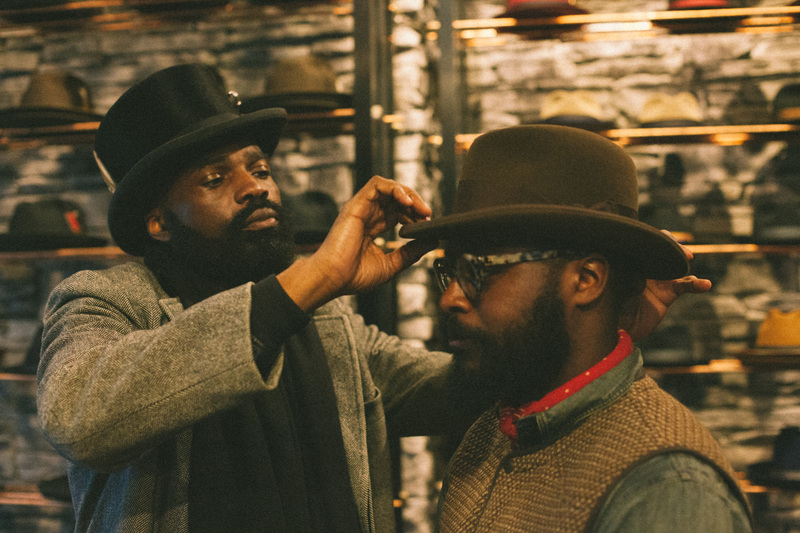 With over 20 plus years of experience not only selling hats, but also designing and collecting them, Marc has become a legend, not only among New York City’s stylish and dapper crowd but the world over. 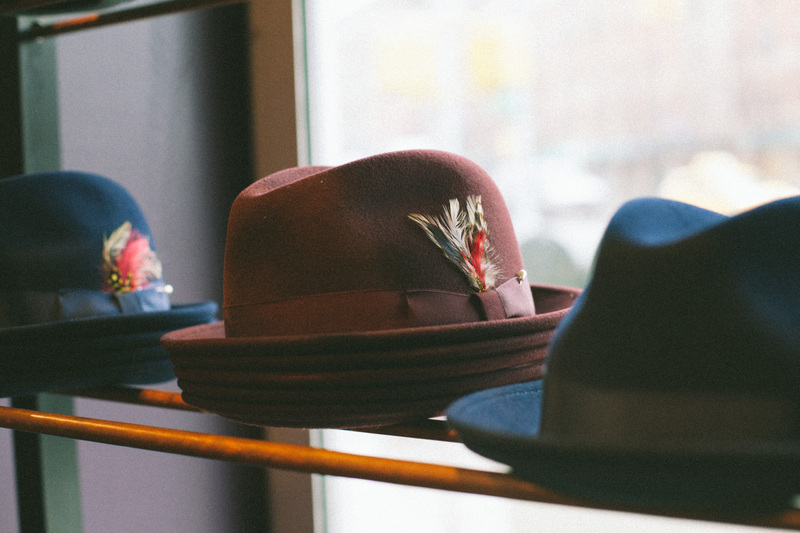 Flamekeepers Hat Club, whose interior mirrors that of speakeasy ski lodge – the exact vibe Marc was going for – sits proudly on the corner of 121st and Frederick Douglas in New York City’s historic Harlem neighborhood. 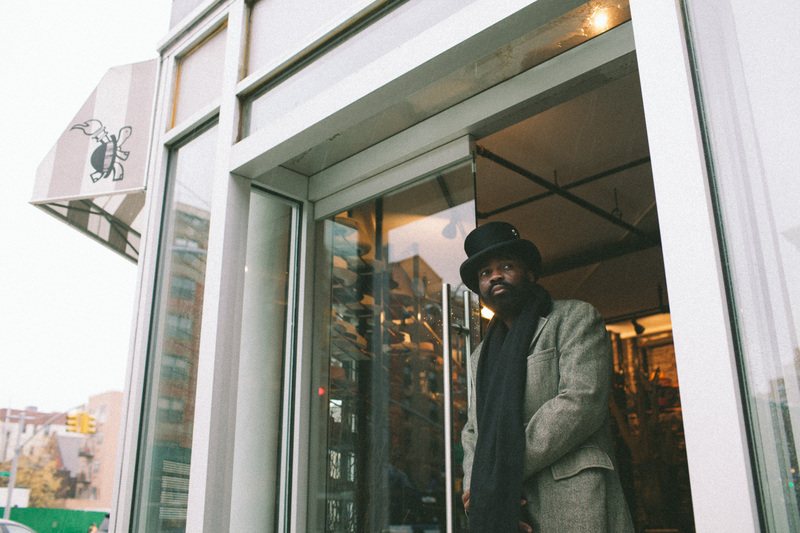 When asked why he chose to set-up shop in Harlem, of all places, Marc is quick to note the area’s history and charm. 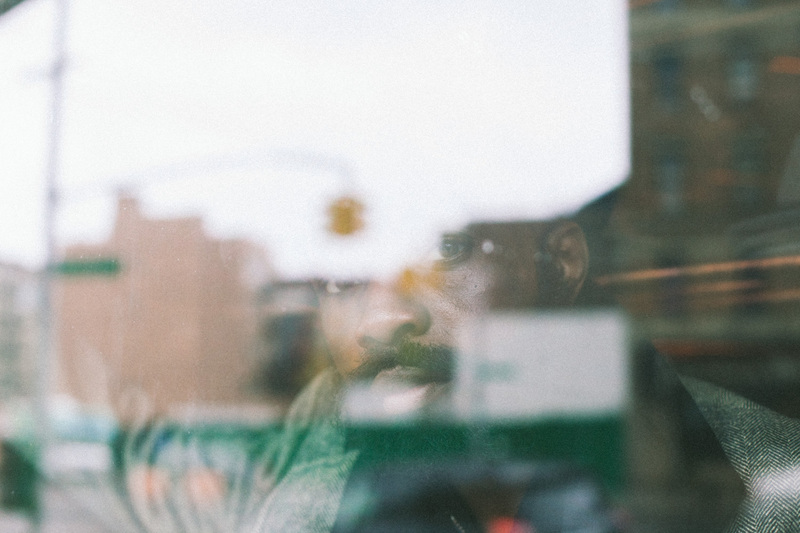 “I looked in the Lower East Side, Brooklyn and Harlem but I ultimately landed here because I felt like there was something special happening in the neighborhood, and I wanted to be at the ground level part of it.” And that he is. His motto for life, which happens to be the same way he approaches fashion and business, is fairly simple, “don’t be afraid to try something new.” When I press him on how it’s shaped the decisions he’s made he tells me, “I try to tell everyone that comes in here, a little change can make all the difference. Something that life has taught me is that change is inevitable, so I’ve learned to just roll with the punches.” Which is the exact answer you’d expect from a wise soul like Marc. 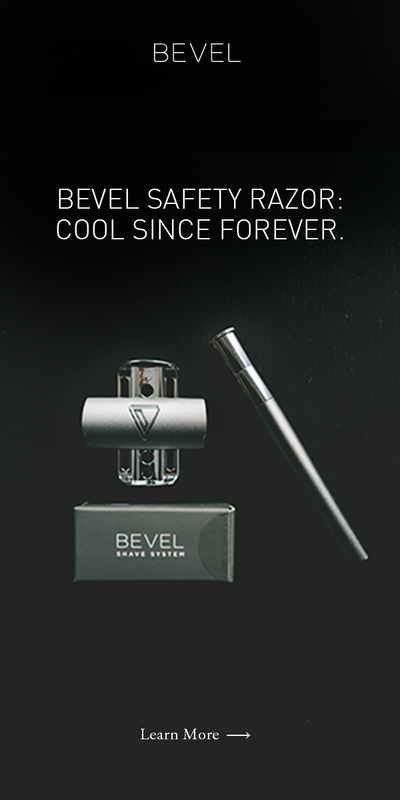 Bevel Code: When most people think of working in fashion, the hat industry probably isn’t the first thing they think of. Why hats? Marc Williamson: I actually got my start working in the hat industry back in college as a stock boy I was searching for a part-time job, had three interviews lined up and one just happened to be a hat shop downtown [in New York City]. I had the interview and was actually hired right on the spot. 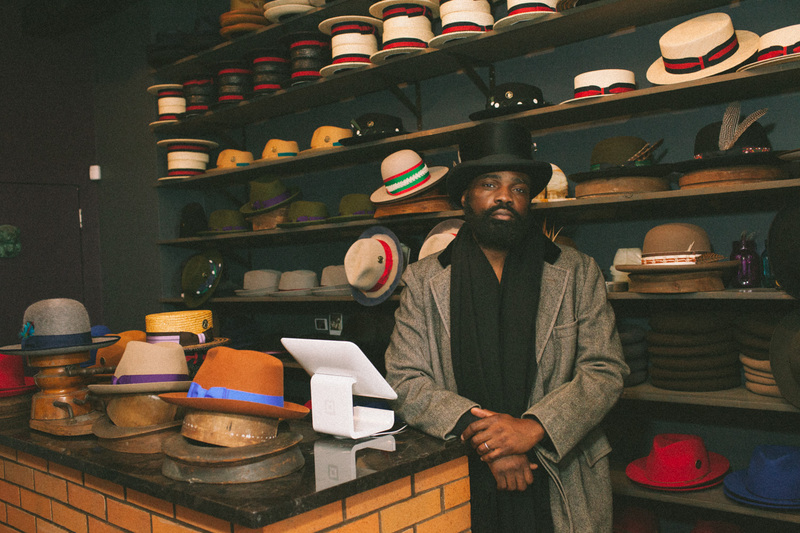 I spent years at that shop, growing and evolving my career, and eventually decided to strike out on my own, about three years ago, to express my own vision right here in Harlem. BC: So you ended up working at that shop for a quite some time then? Clearly you paid your dues. MW: Oh yeah! I worked for someone else for years before I decided it was time to do my own thing. BC: That grind is something you rarely hear talked about these days. Nowadays most people assume they’ll be a successful entrepreneur by 25 well on their way to being a millionaire, if not one already. MW: I mean we’re living in a different age now, the age of information. And with social media and the Internet I won’t say that it’s not possible, but it’s certainly not possible for everyone. This is a grind for sure, especially when you’re a small business owner; there are rarely any days off and it’s a lot of hard work. You’re going to care the most about the success or the failure of your business, so you’ve got to be prepared to roll up your sleeves and get your hands dirty. BC: Hard work aside, any other advice for our readers who are thinking about or just starting their own business? BC: You bring up a great point, to mind the company you keep. MW: Oh yeah, that’s so critical! Surround yourself with positive guys [or women], but make sure they’re positive guys [or women] who are doing something; cuz that’s different than being positive and chilling. I’ve got a circle of guys who are ambitious, hungry, and super supportive – we all support each other and push each other to go further. When I think I’m working hard, I look at some of my friends and I’m like nah I’m not workin’ I got to work harder. First, live your dreams. If you have a vision, idea or thought I say definitely go for it. 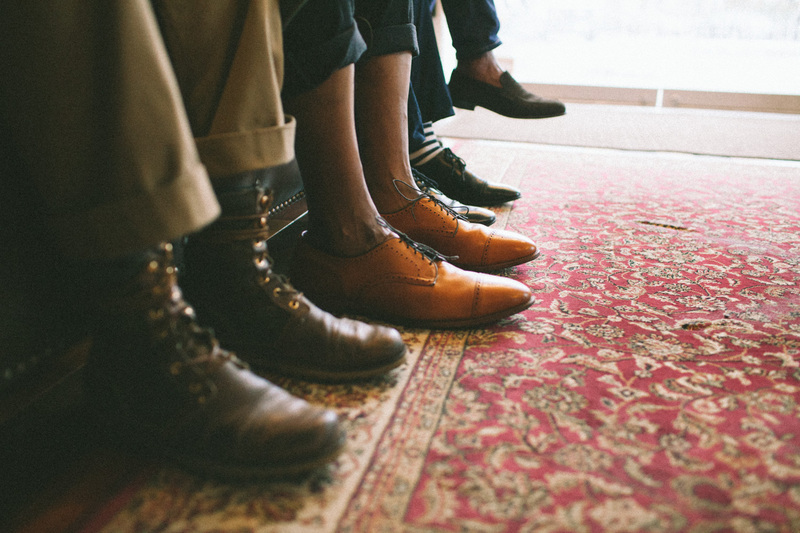 BC: Well clearly, your circle is also super stylish (all the guys in the shop are impeccably dressed). How would you describe your style in three words? MW: I don’t know about three, but I’ll give you two: cosmopolitan and adaptable. BC: Interesting that you choose the word adaptable. MW: Yes, you’ve got to be willing to try something new, especially when it comes to what you wear. As Darwin said, it is not the strongest of the species that survive, it’s those most adaptable to change that do, and I think that’s real talk right there. As guys, it’s easy to get stuck in a rut. 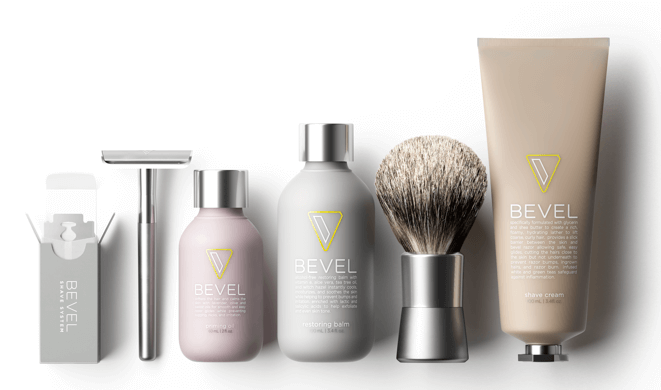 A guy will get the same haircut for 20 years, and what I say in my shop to customers all the time is that we need to evolve and reinvent ourselves more – reinvention is like a breath of fresh air. Woman reinvent themselves all the time, whether that be a different haircut or a different lipstick, and us men don’t do it enough. BC: For a lot of guys being a risk-taker, when it comes to style, can be scary. How do you get out of a fashion rut? MW: One thing I believe, in life or style, is stepping out of your comfort zone. So you’ve got to just go for it. BC: What is it that pushes you outside of your comfort zone and inspires you creatively? MW: To be honest, I’m inspired by anything done well; that can be art, music, fashion, or people. Any time I see or hear something done well, it stirs an emotion in me. And when I feel that, I can’t help but want to create something that makes people feel the same way. I want to give my customers a hat that makes them feel the same way I felt when I heard or saw something. BC: There’s quite a wide selection of hats in your store. How do you go about deciding what kinds of hats to make? MW: I actually don’t physically make the hats sold at Flamekeepers Hat Club, I’m not a milliner [someone who makes hats]. What I do is design the hats and then have my designs produced by the factories I work with in the US and Europe. Typically I make small batches of hats every few months to keep things fresh, so that every time a customer comes in there’s something to be excited about. BC: It’s apparent that your store is sells more than just hats. 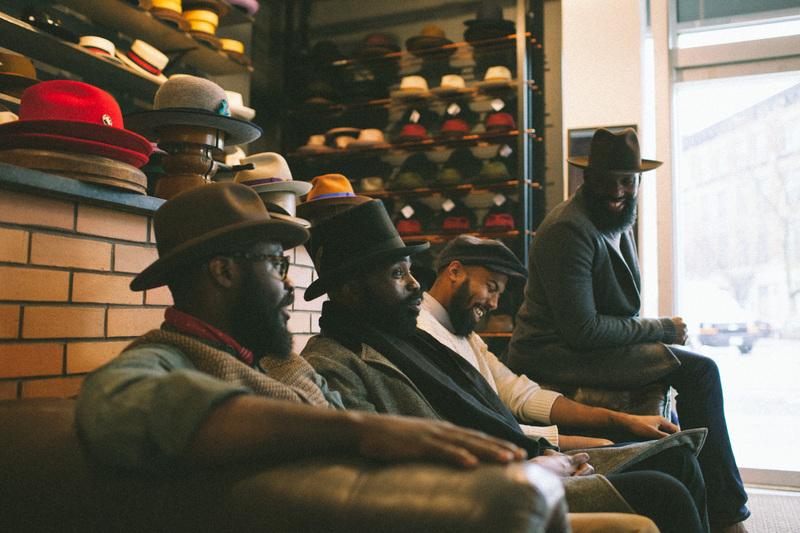 You’ve created a space where men of color can come hang out with their friends, possibly buy a hat, and always leave a little more knowledgeable than he came in. Was that a goal of yours? MW: I mean, that’s one of the reasons I named the shop Flamekeepers Hat Club – we’re passing the torch of great taste from one generation to the next. It’s important to keep your family close, and not just your biological family, but your friends as well, and I wanted to create a space that did that. My friends and I are constantly talking about how we can play our part in making a difference, so we’re all actively working on mentoring projects/ideas. I believe if you’re a person of influence, then you should be using that influence to make a difference.